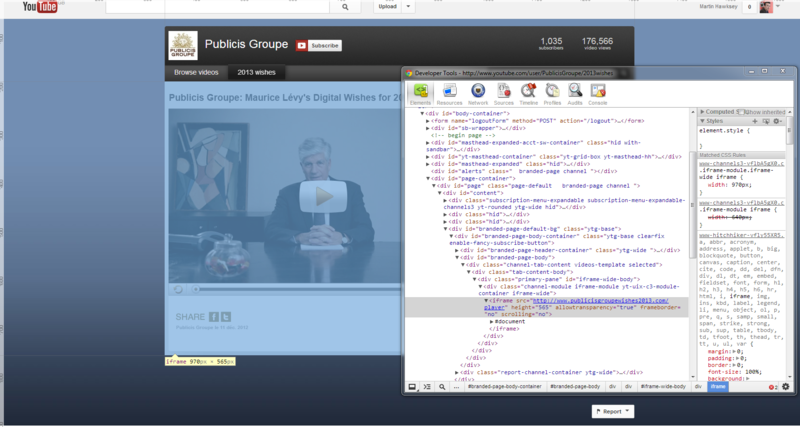 v. clever use of youtube – try pausing, fast forwarding, or viewing full screen: youtube.com/user/PublicisG… rather meta. It’s just one of the many very human interpretations of the standard YouTube functionality taken for granted today. … basically the entire video area including title and controls is an embedded iframe. 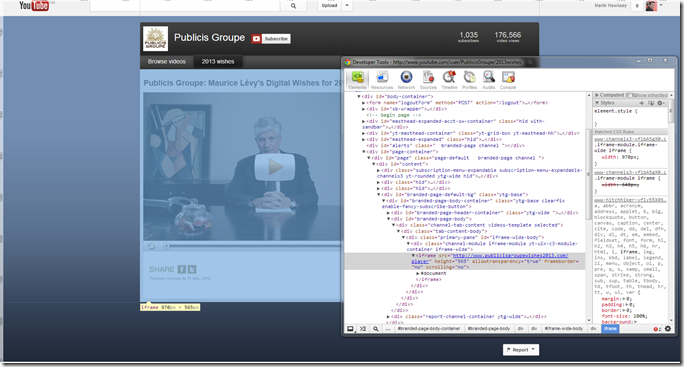 This allows Publicis Groupe to create their own Flash based player with custom functionality for pause, play etc. To get the iframe into their YouTube channel they used YouTube’s Custom tab settings which are available on Branded Channels.